In this day and age it is becoming increasingly more important to protect your skin and those of your loved ones from the effects of the sun's dangerous UV rays. If you visit the beach often, just love to entertain, or have those outdoor pool and beach parties Patio & Beach Umbrellas are a fun way to decorate. Take a break from the water and enjoy our 6ft Patio & Beach Umbrella. 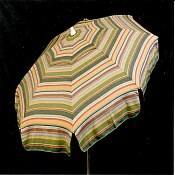 This umbrella is 91 1/8 inches tall and comes with a two-piece snap together heavy duty aluminum frame with a 3-position tilt. 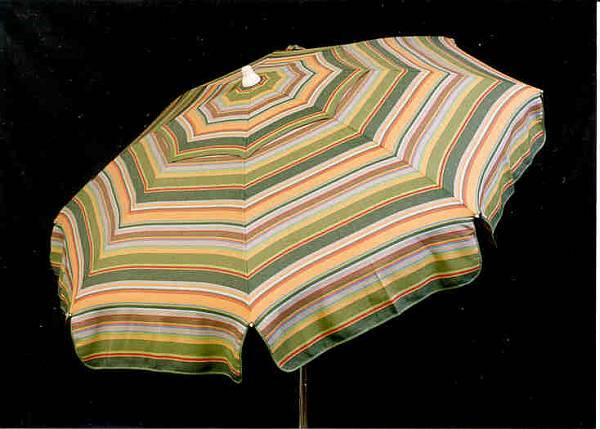 Each umbrella is constructed with a heavy-duty solution dyed bright acrylic fabric. The Standard Pole Option is flat on the bottom, the Bar Height Pole Option gives the umbrella extra height, and the Pointed Pole Option will allow you to use the umbrella in the sand.